You can now easily switch one of the eight inputs to one output. It employs the MUX508, a modern CMOS analog multiplexing integrated circuit, produced by Texas Instruments. 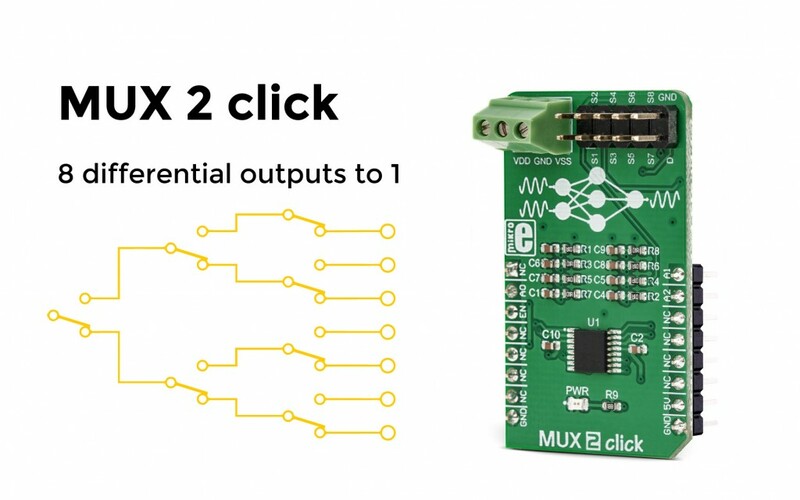 MUX 2 click is an awesome solution for various switching applications, operating with both unipolar and bipolar signals.